There is evidence of microbial growth or mold on the filter. Mold spores already infiltrating the home via the HVAC system are not only bad for the unit itself, but they can pose a health hazard for the family, ranging from an irritated respiratory system to a serious allergic reaction. The musty smell produced by a moldy HVAC filter is also unpleasant and may take a while to completely eradicate from inside the home. 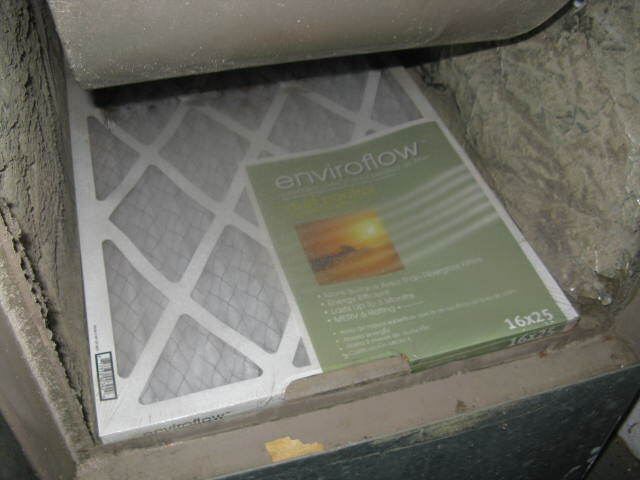 If you discover that you have moldy air filter, it’s important to have the cause investigated further. AnInterNACHI inspector or HVAC technician can help determine the problem so that it doesn’t recur.